Raymax Lan Cables comprises UTP & STP cables. 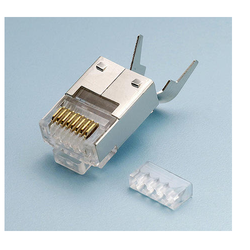 Raymax Networking Accessories comprises cat5e, cat6, cat6a keystone jacks, faceplate, patch panel, modular jacks, networking & server racks, crimping tools, telephone modules, krone boxes & multi pair telephone cables. RAYMAX 2U RACK is made of CRC mild steel, strong,& nice looking. 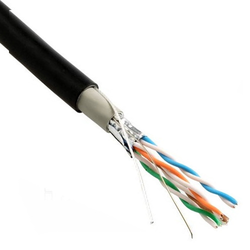 RAYMAX CAT 6 CABLE are available both in copper as well as cca. international standard quality as per EIA/TIA standards. 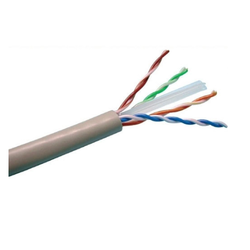 We feel proud to introduce ourselves as the leading organization in this domain, engaged in presenting an excellent grade of Raymax Cat6 STP Cable. Our professionals bring forth an excellent range of STP cable that is manufactured using premium quality material and latest techniques at our production unit. In addition, these STP cable are built and developed adhering to industry standards. Furthermore, our professionals opt for strict quality inspection made on the STP cable to ensure flawless performance. With the comprehensive industry knowledge of allied domain, we are engaged in presenting a superior quality range of RaymaxCat6a Patch Panel ( Ray-pp-6a). Our professionals bring forth an excellent range of panel that is manufactured using premium quality material and latest techniques at our production unit. 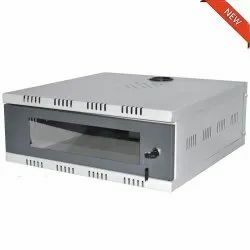 In addition, this panel is built and developed adhering to industry standards. Furthermore, our professionals opt for strict quality inspection made on the panel to ensure flawless performance. Since our commencement, our firm is engaged to introduce a premium quality array of Raymax Impact Tool. The offered tool is examined on set quality parameter in order to deliver better range to the clients. Also, this tool is made available in various colors, sizes and shapes. Moreover, clients can opt for different dimensions according to the specific business needs. In addition, tool offered by us has gained highly appreciation among our clients. Besides, clients can avail the tool from us at cost effective rates. 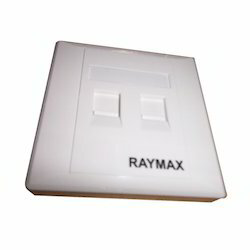 As an affluent name of this domain, we hold expertise in presenting high quality Raymax Patch Cord. This useful patch cord is manufactured using quality materials and advanced technology. Our professionals manufacture all kinds of patch cord according to the trending demands and clients’ needs. In addition, the offered patch cord is built and developed adhering to industry standards. Furthermore, quality control team opts for strict quality inspection to assure flawless performance of the patch cord during operation. 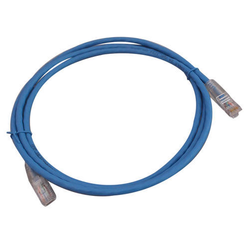 Besides, clients can get the patch cord from us at industry leading cost. 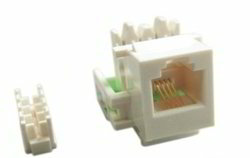 We have gathered a huge customer base in this domain by presenting a comprehensive range of Raymax RJ-45 Connector. 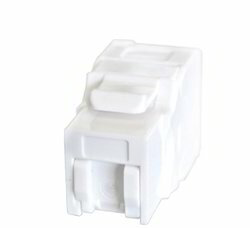 At our unit, our professionals manufacture the connector by adhering to industry norms. 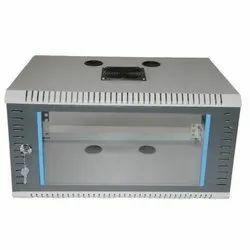 They also make sure to use quality stainless steel materials and approved components for manufacturing the connector. Once the connector is ready for operation, our engineers ensure by opting strict quality checks so that the connector offers reliability and high performance to the clients. RAYMAX 6U RACK is made crc mild steel. perfect size & nice apperance. 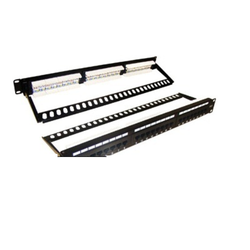 suitable for cctv / Networking..
RAYMAX 4 U RACK is made of crc sheet -mild steel. Assisted by a qualified workforce and advanced manufacturing unit, we are engaged in offering a wide range of Quad Port Face Plate. The provided face plate is manufactured using premium quality material and latest techniques. Additionally, our provided face plate is processed adhering to industry standards and quality norms. The offered face plate is examined on set quality parameter in order to deliver better range to the clients. Also, this face plate is made available in various sizes and shapes. Since our foundation, we are engaged in presenting an outstanding quality array of Dual Face Plate. The offered faceplate is examined on a set quality parameter in order to deliver better range to the clients. Also, this faceplate is made available in various colors, sizes, and shapes. Moreover, clients can opt for different dimensions according to specific business needs. In addition, faceplate offered by us has gained high appreciation among our clients. Besides, clients can avail the face plate from us at cost-effective rates. 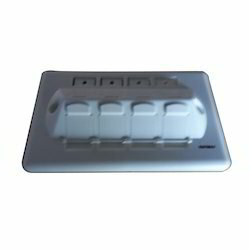 We are successfully ranked amongst the topnotch entity offering a wide range of Quad Face Plate. This face plate is used in audio conference devices, voice data connections, and various other data devices. Also, face plate is manufactured using polycarbonate engineering plastic and fiber reinforce plastic shield. Moreover, the face plate is quality tested for high durability feature. The offered face plate is used in outdoor and indoor duct and aerial applications. Furthermore, this face plate is made available all types and in length from 1.5mtr to 10 mtr. 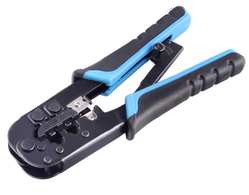 Within the short time period, we are engaged in presenting an excellent grade of Raymax Crimping Tool-ratchet (ray568r). Our professionals bring forth an excellent range of tool that is manufactured using premium quality material and latest techniques at our production unit. In addition, this tool is built and developed adhering to industry standards. Furthermore, our professionals opt for strict quality inspection made on the tool to ensure flawless performance. 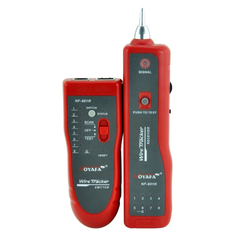 We are successfully ranked amongst the trustworthy entities offering a wide range of Raymax Lan Tester. At our unit, our professionals manufacture the tester by adhering to industry norms. They also make sure to use quality materials and approved components for manufacturing the tester. Once the tester is ready for operation, our engineers ensure by opting strict quality checks so that the tester offers reliability and high performance to the clients. Furthermore, clients can opt for custom design and compact design according to business requirements. 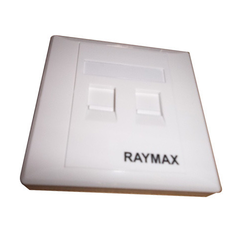 Since our beginning, we are engaged in presenting a wide range of excellent quality Raymax Telephone Keystone Jack. This jack is a perfect solution to connect to telephone using the keystone jack. The offered jack is compliant and support high network connection. At our manufacturing unit, our engineers have designed the jack adhering to international industry standards and using approved components. Besides, clients can get the jack from us at industry leading prices. RAYMAX 4 U RACK is made of crc mild steel. Owing to the expertise of our team of experienced professionals, we are able to introduce an exclusive range of Raymax Cable Fault Locater. The provided locator is manufactured using premium quality material and latest techniques. Additionally, our provided locator is processed adhering to industry standards and quality norms. The offered locator is examined on set quality parameter in order to deliver better range to the clients. Also, this locator is made available in various colors, sizes and shapes.